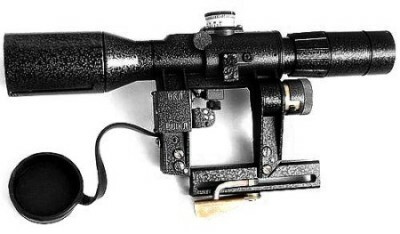 POSP 6x42 VD - Sniper Rifle Scope with illuminated Range Finder and diopter adjustment. The sniper Rifle Scope POSP 6x42 VD has a built-in 1,000 m dual rangefinder for the target 1.5 m (5') and 0.5 m (1'8"). The diopiter adjustment function helps to compensate some vision inaccuracy.